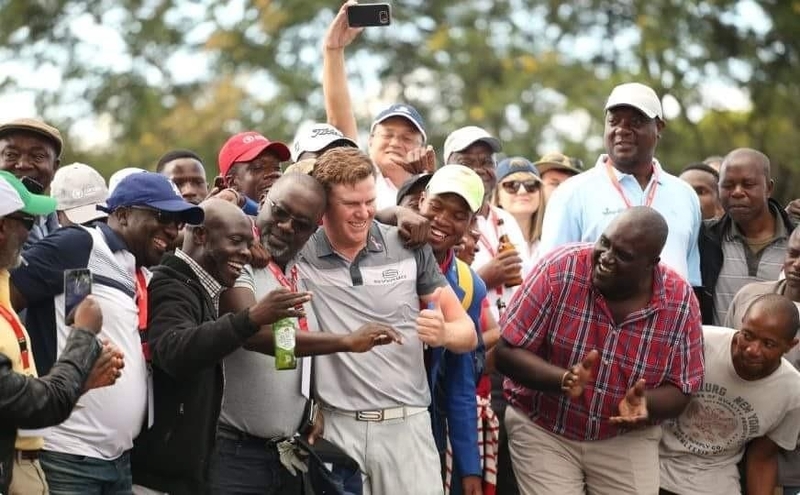 There is no better way to start my weekly Dog’s Tale than by congratulating JJ Senekal on winning the Zanaco Masters in a playoff on Sunday. JJ had a great week in Lusaka. He finished tied on -14 with Jaco Alhers, Andre De Decker and Alex Haindl after normal play on Sunday. He won the playoff with an eagle against Jaco Alhers on the second playoff hole. 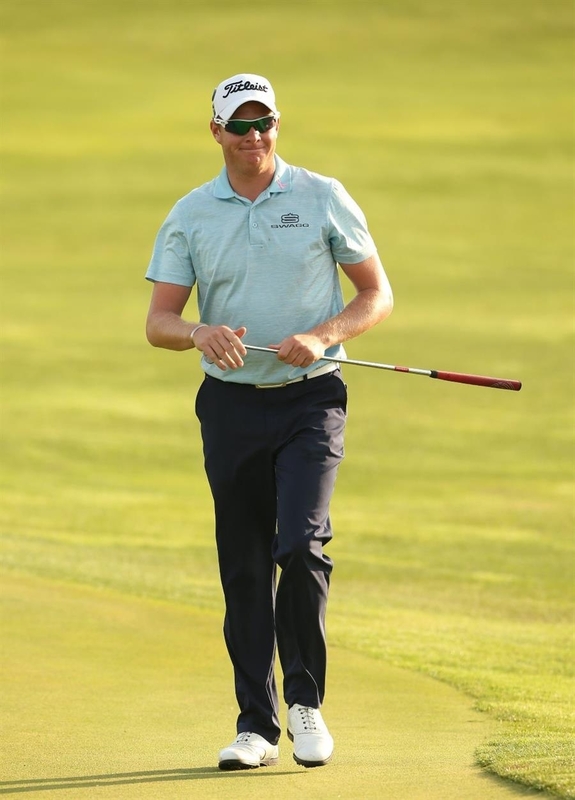 That makes it three out of three for Stellenbosch GC, as both Oliver Bekker and Justin Harding has won the tournament before. Well done JJ! 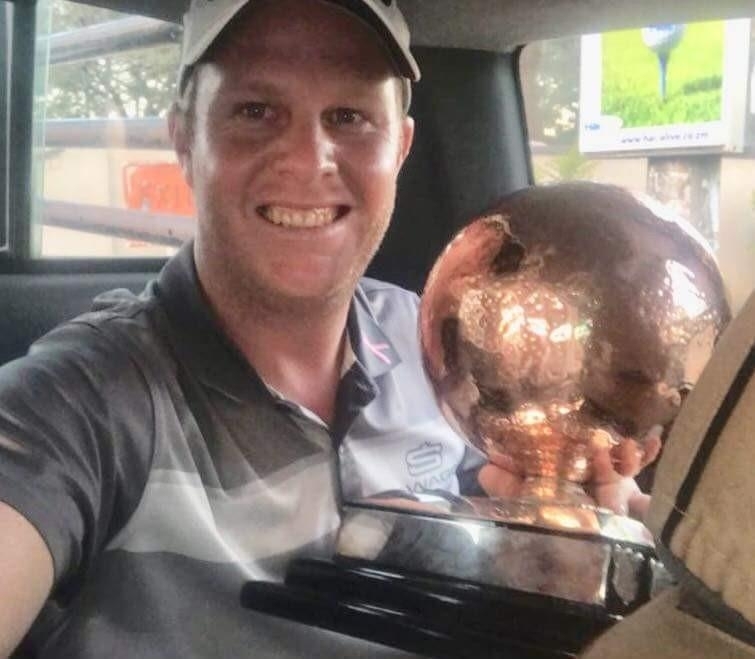 The Champion and his trophy leaving Lusaka! 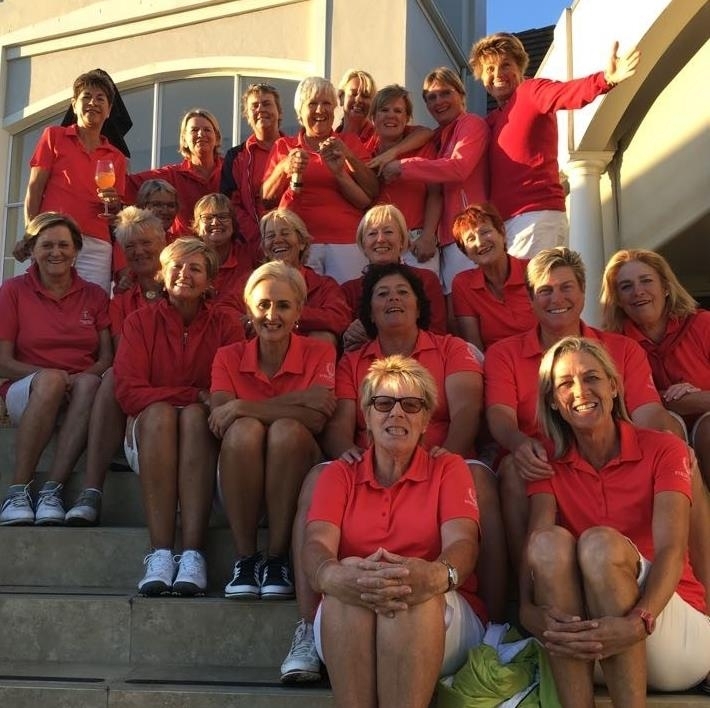 The Stellenbosch Ladies went to visit Paarl last week for the annual Ryder Cup Match between the clubs. This year, Paarl was the host club and they also walked away as the champs. The Stellenbosch ladies did well with 9 holes to go, but sadly could not pull off the win. 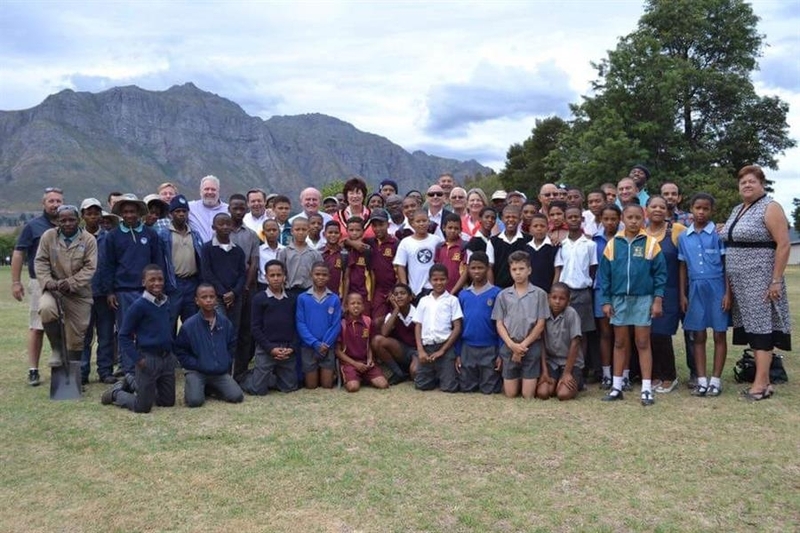 Stellenbosch performed admirably at the annual Boland Silver, Bronze and Copper Competition held at Hermanus earlier this month. 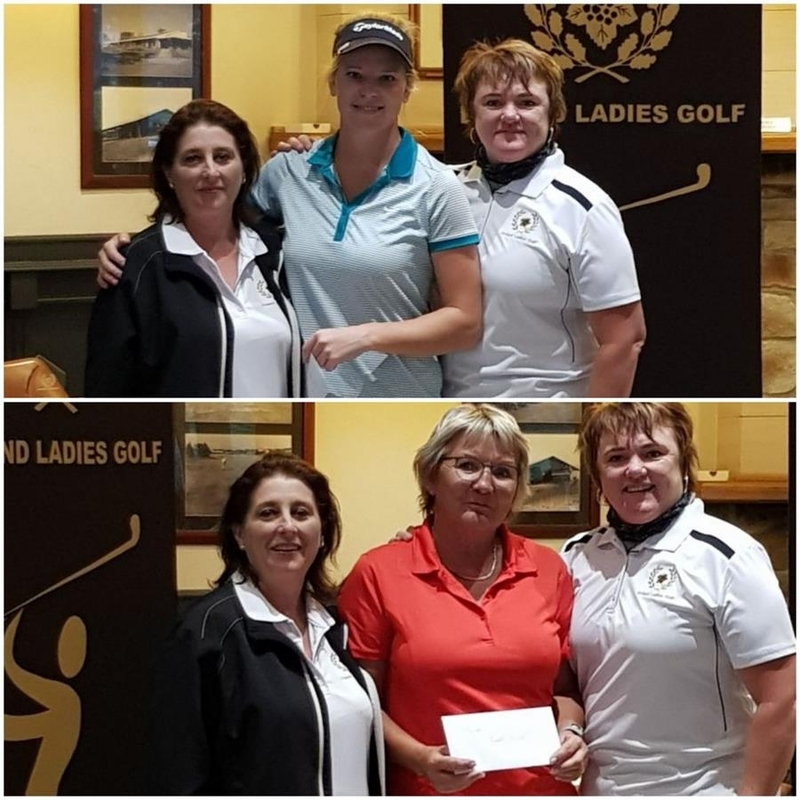 Boland squad member, Bianca Wernich, walked off with top honours, winning the Silver Division (handicaps 18 and below) on a gross score of 73. On nett scores in the same division, Ulrike Stolte came in second on 71. Our club was well represented by 10 participants in the field. Pictured here is Bianca and Ulrica with Boland Ladies President, Tarryn Borsutzky, and Vice President, Louise Olivier. Have a look at the picture and see if you can tell me whose clubs it is? I can give you a tip or two - the photo was taken in 1997 and in that same year the player won a Major Golf Tournament with them...Got you thinking, right? 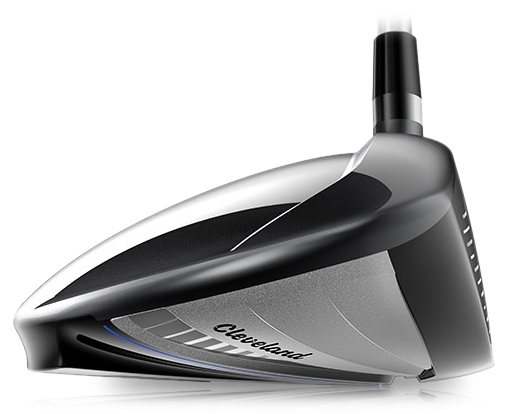 I was more intrigued by just how far golf club evolution has come over the years. Irons to a lesser extent, but still they have improved greatly from these babies enjoying their 21st this year. I don’t even want to think about what would happen if I had to go out and play a round of golf with woods that are 21 years old. 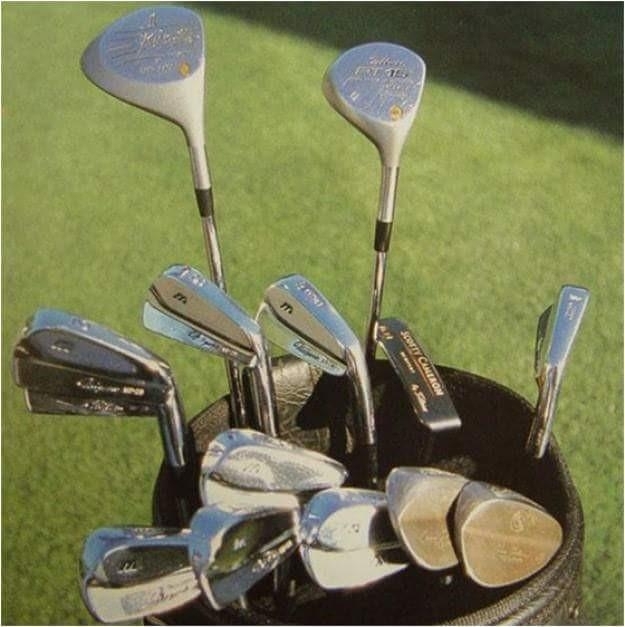 Tiger Woods used these clubs to win the 1997 Masters Tournament. All 441 courses in South Africa were completed using the USGA Course Rating System, including Slope, by January 2018. 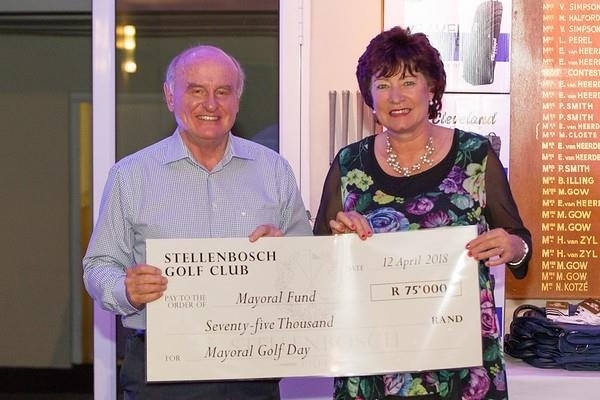 The SAGA decided at their Exco meeting in February 2018 in Durban, to implement the USGA Course Rating System including Slope, on a date to be confirmed, dependent on the approval of the roll-out plan and budget to be tabled by a recently constituted Implementation Committee. Most of the world has now implemented the USGA Course Rating System, including Slope. 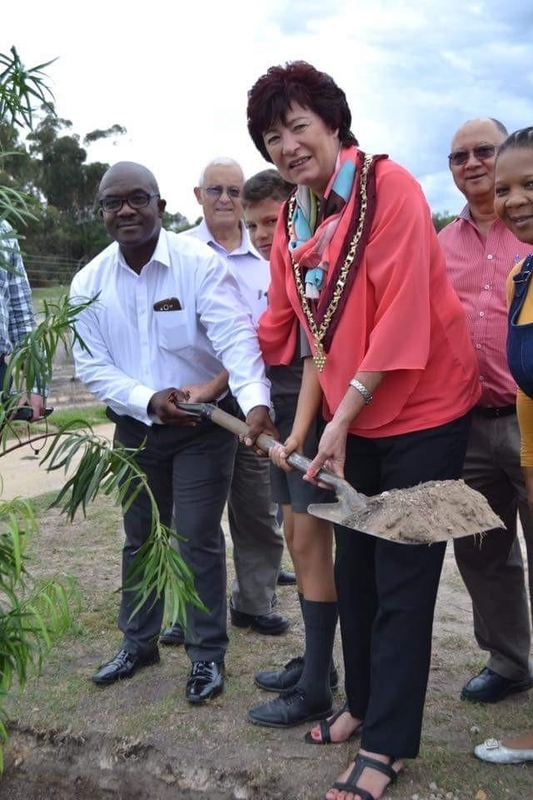 CONGU (United Kingdom and Ireland) and South Africa have yet to implement slope, but CONGU has committed to doing so and is currently rating all its courses for slope, while South Africa is on the verge of implementation, since the process has been completed. 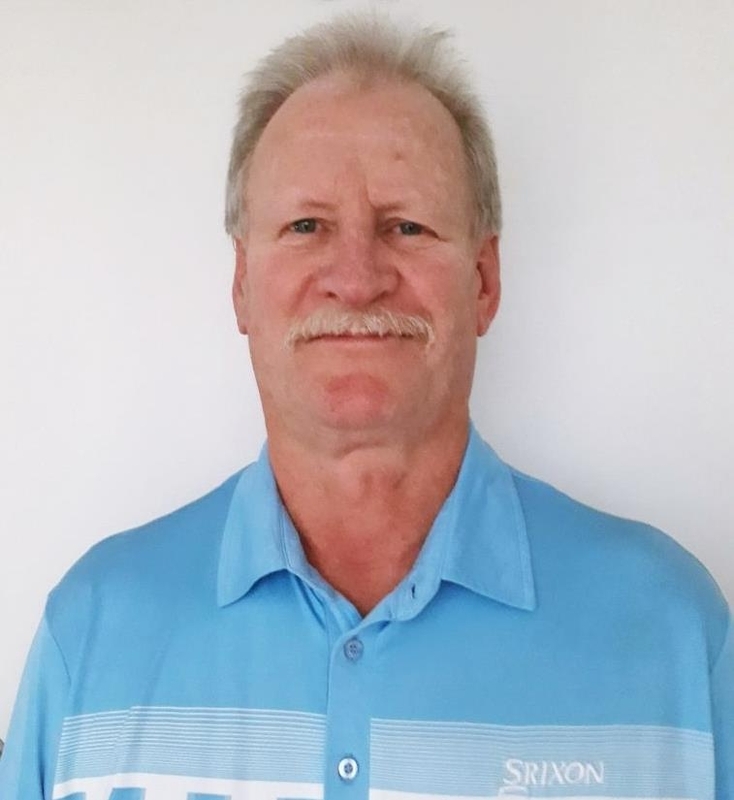 The World Handicap System (WHS), which is going live in 2020, adopted the USGA Course Rating System as the system to be used by all countries for the rating of their courses and is one of the primary building blocks of the WHS, which will result in handicaps being comparable worldwide. The Course Rating reflects the difficulty of the tee relative to par. The Slope Rating is the difference between how difficult the tee plays for a higher-handicapped golfer relative to a scratch golfer. The Slope system was developed because when the statistics from millions of rounds were analysed, it was found that while the course ratings were correct for scratch players, there was a big difference in the degree of difficulty for the higher-handicapped players at different courses and so, at these courses, the higher-handicapped players were at a disadvantage. The Slope system was developed to adjust the higher-handicapped players’ handicaps according to the slope. The standard slope was set at 113, which means that if a course has a slope of 113 then no changes would be made to handicaps. If the slope is, say, 130 then the tee is more difficult for the higher-handicapped golfer relative to the lower handicapper, and their handicaps should be adjusted upwards. When we introduce Slope, we will adjust the last 20 scores of all golfers to the new Course and Slope Ratings, so a new number, namely the Handicap Index to be used for calculating Course Handicaps, will be on the system. Importantly, the golfer won’t need to calculate anything, as there would be a Course Handicap Conversion Chart for each tee at the club, as well as on the system and the handicap app. This way, golfers can easily look up their Course Handicap for the tee. On completing the round, the player then enters their adjusted gross score or hole-by-hole score, as they currently do, and the system calculates their Handicap Index. This is working all around the world without a problem. 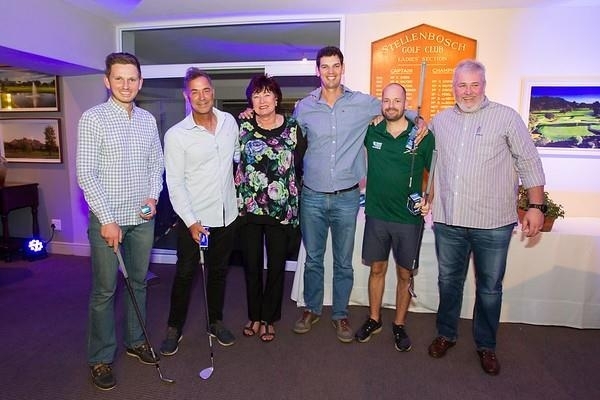 The majority of our golfers are higher handicappers and when this is introduced, together with the more accurate Course Ratings, it will ensure that golfers from different clubs in South Africa (and the world) will have comparable handicaps and can compete on a more equitable basis. My old friend, Beyers Truter, knocked it close on the 9th! Can I get a yes please! The oldest competition in the club will be played over the weekend of 5 & 6 May, with the Junior Club Championships (kids without handicaps or under 12, not playing during the weekend) and Putting Championships taking place in the afternoon on Friday 4 May. 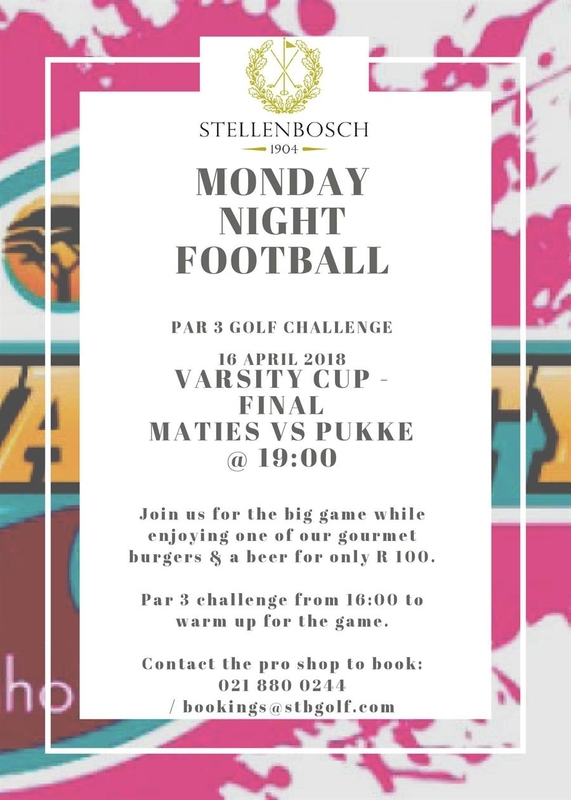 Entry forms are available here and at the Stellenbosch Pro Shop. Click here for the rules and regulations. Lastly, on Wednesday, we are welcoming back ABC Security for another lovely day proudly sponsored by them – thank you ABC Security for your support! 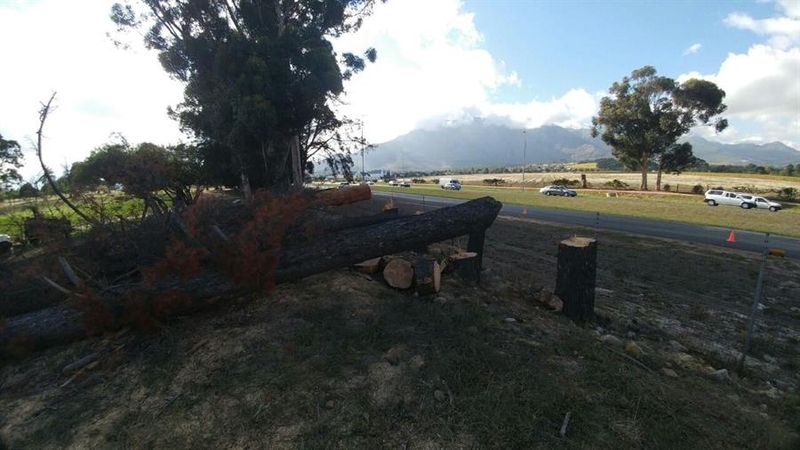 Baie van die lede van die Stellenbosch-gholfklub was in jul jongdae uitblinkers in ander sportsoorte. Francois (Mannetjies) de Vries was vir jare lank een van die beste bofbalspelers in die WP. 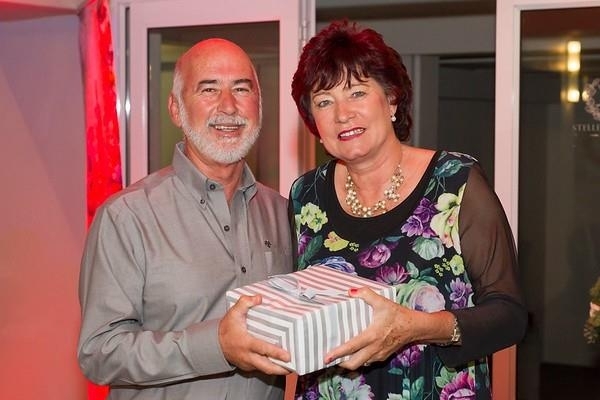 In my onderhoud met hom praat ons ‘n bietjie oor sy bofbaldae, wat het gholf en bofbal in gemeen asook sy liefde vir die spel. VRAAG: Jy was 'n baie goeie bofbalspeler as junior en ook as 'n jong man. 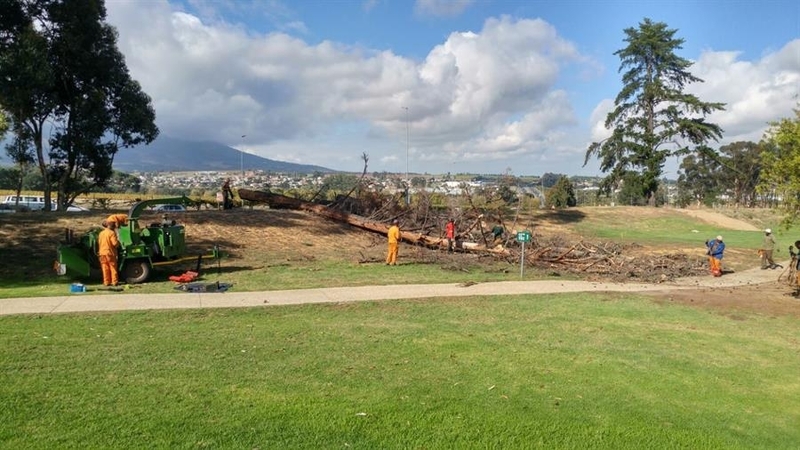 Vertel ons meer hoe dit begin het dat jy bofbal gespeel het, en wat was die hoogtepunte in jou bofbal-loopbaan? DE VRIES: As 10-jarige seun het my broer my een Saterdag Bergzicht toe geneem om Van der Stel se 1ste bofbalspan wat die middag teen Seapoint Cardinals gespeel het te gaan kyk. Dit was my eerste bywoning van 'n bofbalwedstryd. 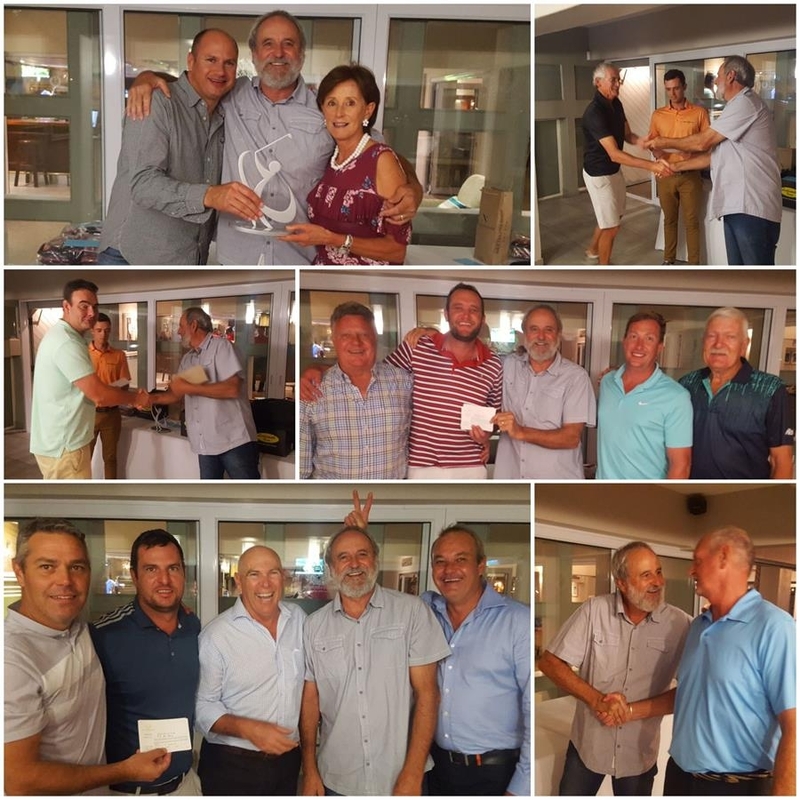 In daardie span was daar manne soos Killer Nel en Johan Goosen, beide Springbokke, asook puik bofbalspelers soos Johann Gerber, Jan Padda Engelbrecht, Gielie Neethling en Piet (Poskantoor) Swanepoel om net 'n paar spelers te noem. Dit was spelers na wie ek as jong seun opgekyk het. Daardie middag het die bofbal-gogga my gebyt. Dit was 'n vinnige spel - 'n wedstryd duur ongeveer 2 ure. My broer het my voorgestel aan Mills Petrie wat gevra het of ek nie belangstel om die volgende Dinsdag saam met die juniors te kom oefen nie. Ek het my hele bofbal-loopbaan 3de rus gespeel. Die volgende jaar was ek vir die WP onder 12-span gekies en die jaar daarna vir die WP onder 14 span. Op senior vlak het ek 'n goeie kolfgemiddelde gehad en veldwerk was seker ook my sterkpunt. Ek het ongelukkig nooit die senior WP span gehaal nie aangesien ek in my posisie moes meeding met John Pete van Clyde Pinelands - hy was ‘n WP-speler wat ook vir die Springbokke gespeel het. Ek het bofbal gespeel tot ek ongeveer 31 jaar oud was en toe 'n jaar afgerig by Van der Stel. Vir die res van die artikel, kliek hier. Most golfers would benefit from a slightly higher launch and less spin on their tee shots. 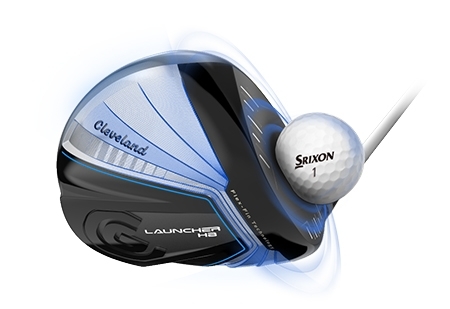 The Launcher HB, as its name suggests, is designed to get the ball onto a higher and longer ball flight. 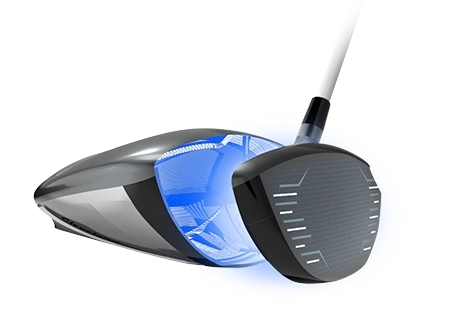 We’ve been talking about the radical improvements in face technology and how they help your golf game. If you want to challenge your performance off the tee, then now is the time to come and see us. we should never ignore for your child. 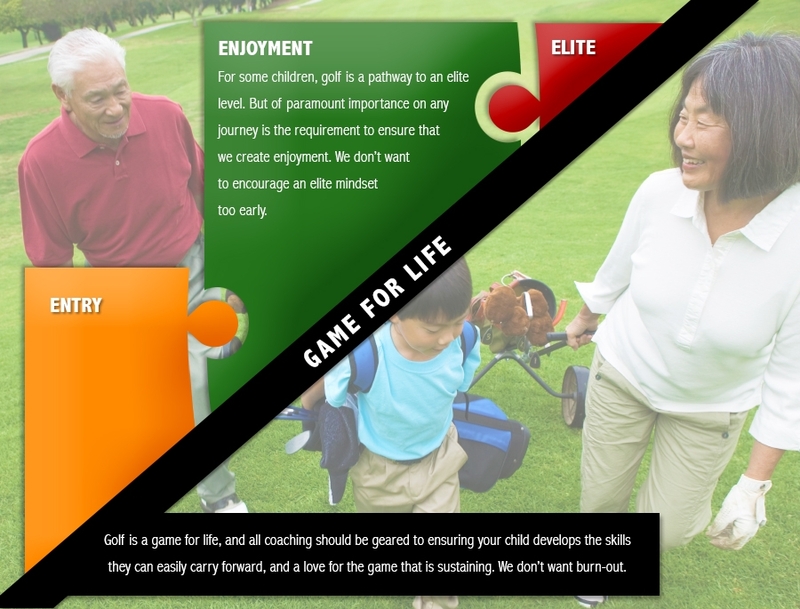 introduce golf to your child or how to develop their ability.